This is specifically designed to keep you updated and entertained, you can also drop your ads and get people to view and attend to them.... This will also give students the necessary news and informations they require. - Governor Nyesom Wike has said that nobody has the right to issue a quit notice in Nigeria - Wike says so long as he is in charge of affairs in Rivers state, all citizens shall be protected - The governor has warned all warring factions to seek peace and embrace unity Nyesom Ezenwo Wike, the Rivers state governor, has declared that nobody has the right to issue quit notices to other Nigerians. The governor stressed that despite recent social challenges, Nigeria will continue to be united. 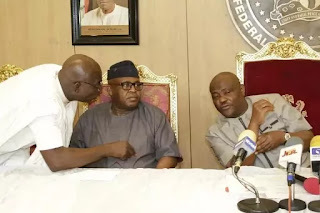 Wike stated: "Nigeria must be one. All of us will live together. All of us are free to do business anywhere in the country. Whether you are from the north, you are free to stay here and do business. "Nobody should threaten anybody. All of us own this country. We must be our brother's keepers". 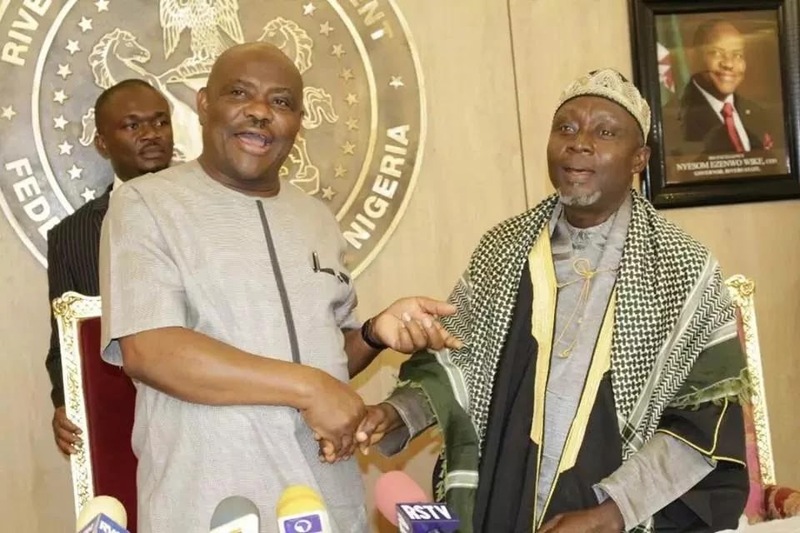 The governor spoke on Monday, June 26, when the Rivers state Muslim community paid him a Sallah homage at the Government House in Port Harcourt. 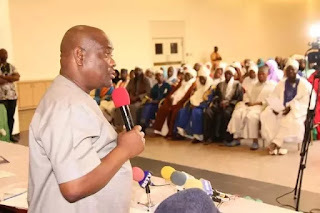 Governor Wike said that the unity of the country is necessary for the rapid development of the country The governor assured the Rivers Muslim Community that he will continue to sponsor them for Hajj as his administration believes in the spiritual upliftment of the people. He said: "Government will continue to give you support, but we cannot use state resources to build a mosque. "During the Ramadan I sent items to all the mosques in the state. We are all worshipping one God, even though we serve him in different ways". According to a statement by his special aide, Simeon Nwakaudu, the governor said that he has respect for the Muslim community as exemplified by his invitation of the Sultan of Sokoto to participate in the Rivers at 50 celebration. He added that he will be paying a Sallah visit to the Sultan on Tuesday, June 27. Earlier, the leader of the Rivers state Muslim community and vice president of the Supreme Council of Islamic Affairs, Alhaji Nasir Uhor said the Rivers Muslim community were happy with Governor Wike for his superlative performance . He commended the governor for promoting religious tolerance in the state. In a similar vein, National Leader of the All Progressives Congress chieftain, (APC) Asiwaju Bola Ahmed Tinubu, has said that the those who are calling for secession and break-up do not mean well. The former governor of Lagos said: “Voices calling for violence must be roundly condemned for it is wrong to incite brother to go against brother and neighbour to combat neighbour.” Tinubu said in his Eid-el-Fitri message to Nigerians at the weekend that the only path to toe in achieving the best for all Nigerians is dialogue, Vanguard reports. The ex-lawmaker's opinion was aired in a statement issued and signed by his media adviser, Tunde Rahman, on Saturday, June 25. In the statement entitled “Eid-el-Fitri Message: The Spirit, Strength of Our Diversity”, Tinubu said the spirit of sacrifice, self discipline, goodwill, justice, tolerance, mercy, forgiveness and compassion inherent in the Ramadan Fast should remain with Muslim faithfuls to guide their day-to-day interactions and relationships with one another. Asiwaju Tinubu said: “Voices calling for violence must be roundly condemned for it is wrong to incite brother to go against brother and neighbour to combat neighbour". Explosions💥 have also been reported in the capital, Harare. Earlier, the country's ambassador in South Africa denied talk of a coup. It comes as Zimbabwe's ruling party accused the country's army chief of "treasonable conduct" after he warned of a possible military intervention. General Constantino Chiwenga had challenged President Robert Mugabe after he sacked the vice-president. Gen Chiwenga 🔈 the army was prepared to act to end purges within Mr Mugabe's Zanu-PF party. Tensions were raised further on Tuesday when armoured vehicles were seen taking up positions on roads outside Harare. 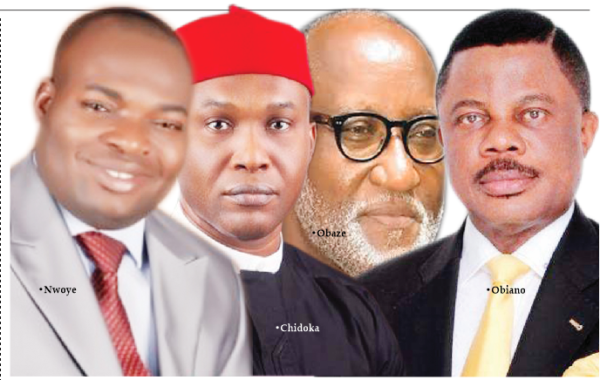 PinterestLinkedInWhats Some chieftains of political parties on Friday appealed to voters in Anambra to turn out en masse to vote for candidates of their choices in the Saturday’s governorship poll. They told the News Agency of Nigeria (NAN) in interviews in Lagos that voters who would fail to exercise their franchise should not complain of poor leadership. Chief Charles Nwodo, the National Chairman of Progressive Action Council, advised the people to avoid apathy. “We believe that the people of Anambra know that if they fail to come out to vote, they are creating chances for poor leadership.